Guyana: When preparing for the dubbing of the LUKE video or other Scripture, many challenges arise. How do you choose the right person to read the words of Jesus, Mary, or Paul? How do you get verses that take 45 seconds to read in the local language down to the 30 seconds used in the English version of the film? How many practice times are necessary for the readers to learn to read with expression and clarity? Over 6,000 speak the Wapishana language in Guyana. The language is listed as a “threatened” language because so few speak it. So far Bible translators have developed a Dictionary and a grammar resource. Literacy is a challenge so a video is being produced. 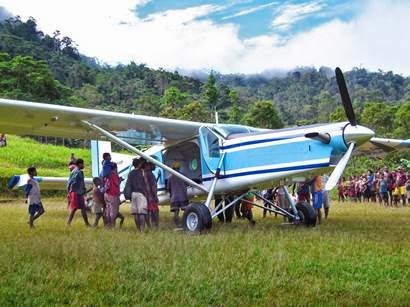 Earlier this year, 32,000 pounds of Ketengban Scriptures were delivered to the people via the Pilatus PC-6 aircraft funded by Wycliffe Associates volunteers. And New Testaments were delivered to their neighbors in Lik villages—the first Scriptures ever in their heart language. Part of a team to translation of the Ketengban scriptures, Andrew and Anne Sims were caught off guard as they entered the Ketengban village in Indonesia. They had come to check on the progress of the Old Testament translation, yet hundreds of people greeted them as a celebration broke out. Off to the side, eight boys covered in white mud from head to toe stood expressionless and silent, never moving. 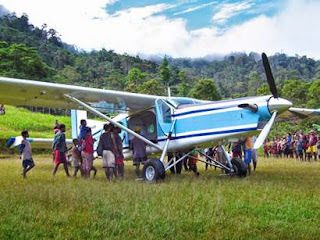 Not only did the Ketengban people not forget, but they were reaching out to neighboring villages, bringing people to Christ, and planting churches. And they also began the translation of the Old Testament. This video shows the challenges of translating the Bible in the Bhogoto language in the very remote areas of Africa.